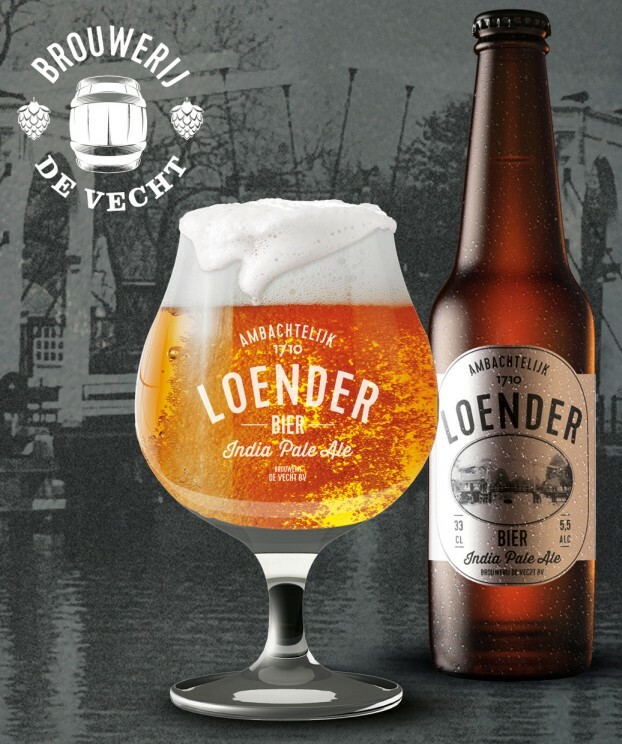 Kuit, princesse, Loender, more kuit… lately slowly but surely Dutch beers surface that are based on a rediscovered beer type from the past. It’s not yet a complete renaissance, but all in all there’s more and more Dutch beer history on the market, and then I’m not even mentioning the home brews. Time for a recap. One of the advantages of writing about lost beers, is that you don’t have to brew them all yourself. More and more other people do it for you. That’s why last Wednesday on a terrace in Utrecht I could taste a Breda Ersatz beer made by an enthusiastic home brewer, Laurens Potman, who had used the original 1934 recipe. And was it any good? The result, based on things like skimmed milk, starch and cane sugar, was at least better than could be expected from the ingredients. It didn’t actually taste a lot like beer, but more like… Rivella. Maybe that’s not such a strange outcome, after all this Swiss soft drink is made from whey, a leftover product from cheese making. Dutch home brewers, including myself, are doing nice experiments, but there’s more: historical beer that’s actually available commercially. Some based on recipes found by me, but by others too. Of course since 2014 there already has been the medieval kuit beer, redeveloped by the Campaign Dutch Beer Styles, followed by a Luiks beer in 2015. The latter is currently available as Luikse Vechter at Van Moll (Eindhoven) and Tulpomania by Jopen (Haarlem). Of the kuit I was able to sample another variant last weekend at the Utrecht Beer brewer’s Festival, made by De Dikke from Wijk bij Duurstede. It has been based on a 1495 ordonnance and was already elected as the festival’s most appreciated beer last year. 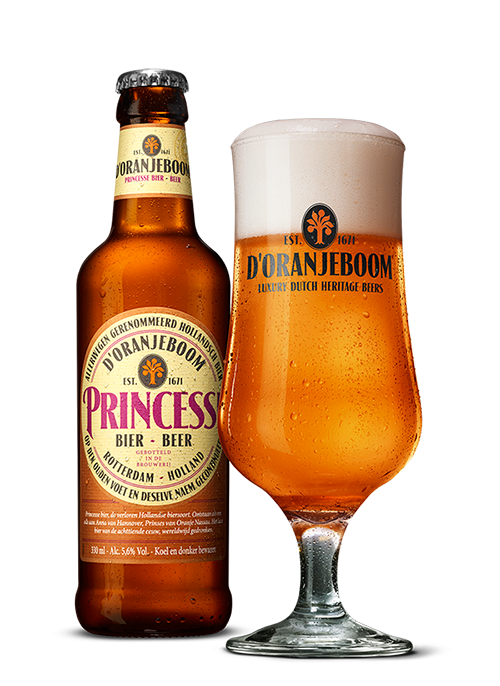 A nice upcoming trend when it comes to historic Dutch beers is the princesse beer. 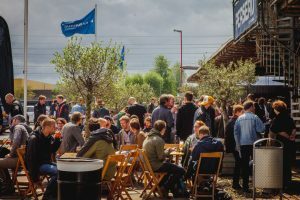 Last year the spicy princesse by Oranjeboom (United Dutch Breweries) was released in two colour variants, and various home brewers gave it a go. Even the renowned Anchor Brewery from San Francisco made a one-off Wild Princess for the Amsterdam In de Wildeman pub, even though for some unknown reason they decided to add a substantial amount of anise. This year a princesse came on draught at Poesiat & Kater in Amsterdam, also known for their wonderful Van Vollenhoven Stout. 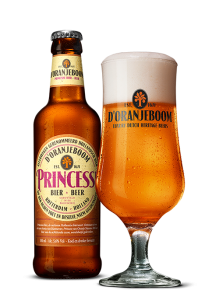 And there was a very well-made one-time princesse beer by Jopen in collaboration with the Stadsbrouwhuis (‘City brew house’) in Leiden, called ‘Behouden Vaart‘, and I wouldn’t mind tasting that one more often. The Behouden Vaart (‘Safe journey’) contains rye and at Oranjeboom and Poesiat & Kater they don’t mind using wheat. Not every beer history purist agrees with that, but all in all a very interesting palette of new ‘old’ spicy beers with a nineteenth-century flavour is emerging. 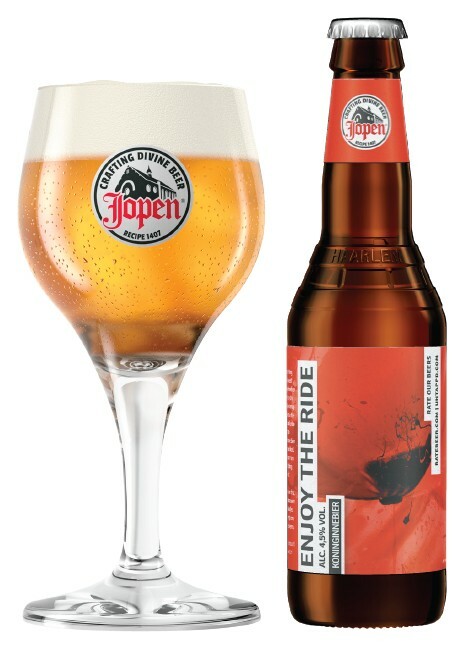 Another temporary historical beer by Jopen is the koninginne (‘queen’s’) beer they brewed lately under the name of ‘Enjoy the ride‘. The reason was the similarly called charity bike ride in Nijmegen, that uses the poppy as its symbol. I like that: in Nijmegen they wanted a poppy beer, and instead of just making one up, the Jopen people thought of the historical koninginne beer with poppies. This beer is a one-off too, just like the Jopen Dark Gerste no. 1 from 2015, brewed after a barley beer recipe from 1911 found by Amsterdam-based English beer historian Ron Pattinson. 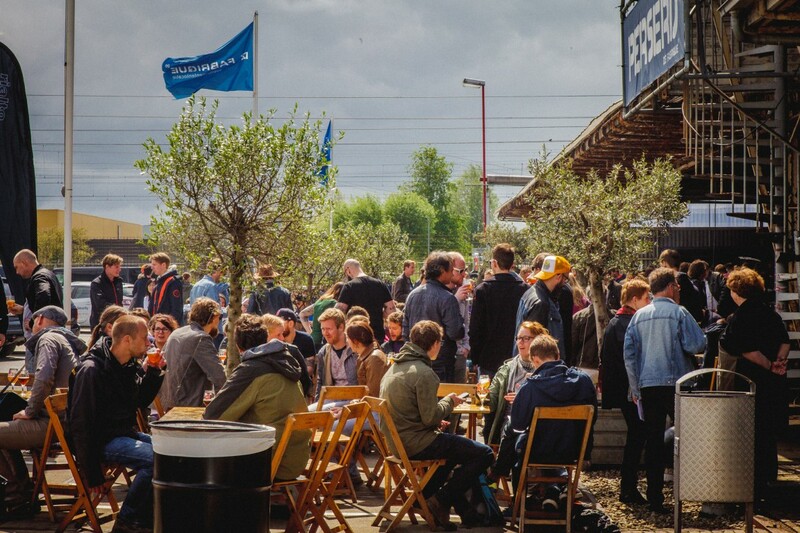 Finally, Groningen is in the game with their kluin beer, which has been reconstructed several times since the eighties. At this moment it’s available in a version by Toon van den Broek and by brewery Vechter. In my book there’s a reconstruction of my own. And a golden oldie classic is the Mestreechs Aajt by Gulpener, which is becoming more available.